As with the rest of our Church History page, this section is not as complete as we would like it to be. Any additional details about our pastors and our history would be greatly appreciated. Please contact our Webmaster with any information, photographs you may have, or corrections. Born in 1872, Rev. Holthusen, a farmer by trade, was the founding pastor of Zion Evangelical Lutheran Church at 609 East Warren Street in Bunker Hill, Illinois (1894-1895) before moving to New York. He was pastor of Trinity Lutheran Church (249 Degraw Street, Brooklyn, New York) from 1896 to 1905. During this time he organized Bethlehem. (Trinity Lutheran Church later moved to 9020 3rd Avenue, Brooklyn and the building at 249 Degraw Street is now a private residence.) Upon leaving Trinity, he went to Immanuel Church, 179 South 9th Street, Brooklyn (now Light of the World Church Pentecostal Church) and later served at Emmaus Lutheran Church, which is located at 60-10 67th Avenue in Ridgewood, New York. He eventually retired to Forest Hills, New York. He died on October 24, 1957 at the age of 85. Born in Pittsburgh, Pennsylvania on December 28, 1881, Pastor Lindemann served Bethlehem for a brief period early in his career. After leaving Bethlehem, he was pastor of Trinity Lutheran Church from 1905 until October 15, 1911, at which time he was called to serve as pastor of Grace Lutheran Church at 982 Summit Avenue in Jersey City, New Jersey. 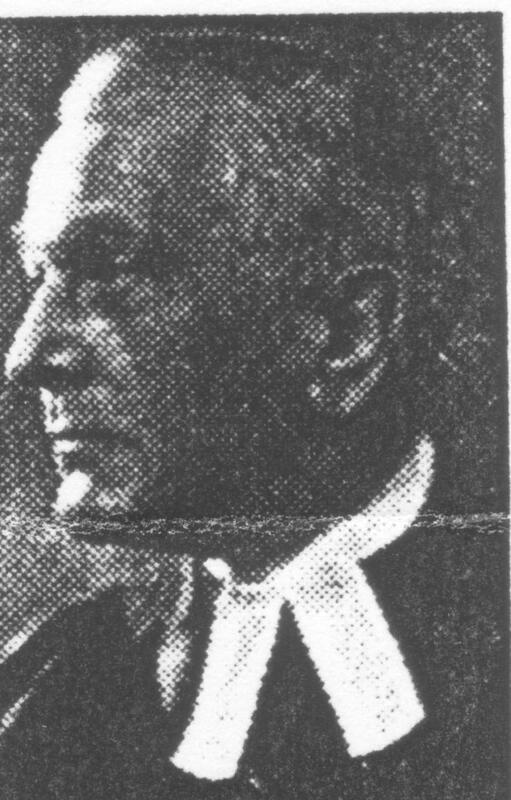 In January 1918 Rev. Lindemann founded and became editor of American Lutheran magazine, in which capacity he served until his death. He also founded the American Lutheran Publicity Bureau. 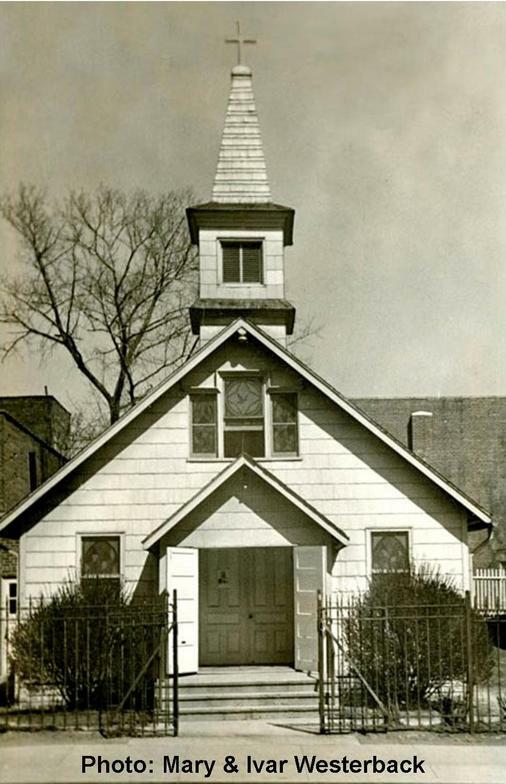 From 1920 to 1938 was pastor of the Lutheran Church of the Redeemer at 285 North Dale Street in St. Paul, Minnesota. In 1930 he was elected First Vice President of the English District of the Synod of Missouri, Ohio, and Other States. In 1936 he was elected President of the English District. He was the author of two books of sermons, "Festival Days" (1934) and "A Conference with God" (1937). He also authored "Ambassadors of Christ" (1935) and several tracts, including "The Formation, Deformation and Reformation of the Church 1517-1917" (1917), "Christian Stewardship and Its Modern Implications" (1933), and "Fundamental Questions" (1937). He died at the age of 56 on December 12, 1938 in St. Paul, Minnesota. 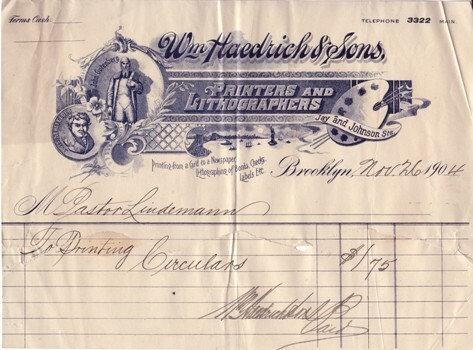 Pastor Halfmann was born in 1877 in New York City. Before coming to Bethlehem, he served as pastor of Immanuel Lutheran Church at 673 Weston Road in Manchester, New Hampshire (1900 to January 1906), and had been assisting with services during the formative years of Evangelical Trinity Lutheran Church (now located at 117 Chace Street) in Clinton, Massachusetts (October 1904 to January 1906). After leaving Bethlehem, Rev. Halfmann served the remaining 28 years of his life at St. John's Lutheran Church at 22-07 123rd Street in College Point, New York. He preached his last sermon on Palm Sunday and after a brief illness, died at the age of 61 on April 19, 1938. Pastor Arndt was born on December 1, 1880 in Mayville, Wisconsin. Prior to joining Bethlehem, he was a pastor of Silver Grove Lutheran Church which had stood on Weaver Pike & Rock Hold Road in Bluff City, Tennessee (which in 1955 merged into Faith Lutheran Church, 2909 Weaver Pike, Bristol, Tennessee) and of St. Peter Lutheran Church (4th & Dolman, now 3524 St. Joseph Avenue) in St. Joseph, Missouri. Pastor Arndt left Bethlehem July 28, 1913 to accept a professorship at St. Paul's College in Concordia, Missouri He went on to become a respected author, theologian and translator of scripture. His books, include "Popular Symbolics" (1934), "From the Nile to the Waters of Damascus" (1949), "Fundamental Christian Beliefs," "The Life of St. Paul" (1944), "Christian Prayer" (1937), "St. Luke" (1941), "Romans" (1920). His books, "Does the Bible Contradict Itself" (1955), "Bible Difficulties and Seeming Contradictions" (1932) and "A Greek-English Lexicon of the New Testament" (1957) are used to this day in universities throughout the world. Rev. Arndt was editor of Theological Monthly and managing editor of Concordia Theological Monthly. He was a professor at Concordia Seminary in St. Louis, Missouri and president of the Archaeological Institute of America. In 1956 he laid the groundwork for the founding of Westfield House, the seminary of the Evangelical Lutheran Church of England. On February 25, 1957 Rev. Arndt passed away at the age of 77 while traveling on a train from Cambridge to London, England. Pastor Schuermann was born on September 3, 1885 in Lafayette, Indiana to John Frederick Schurman of Hoyel, Kingdom of Hanover, and Louise (nee Hengstler) of Lafayette. (The family name was sometimes written as Schurman.) He received preparatory training at the Fort Wayne and Milwaukee Concordias, and in 1909 graduated from the Theological Seminary at St. Louis, Missouri. On November 30, 1911 he married Amanda Graf of Cleveland, Ohio (September 19, 1884 - February 21, 1979), with whom they eventually had three children, Mariam (Griessel), Doris (King) and Fred Schurman. In 1910 he was pastor of St. Paul Lutheran Church (Center & Lester Roads, Valley City, Ohio) where he served for three years before coming to Bethlehem in 1913. 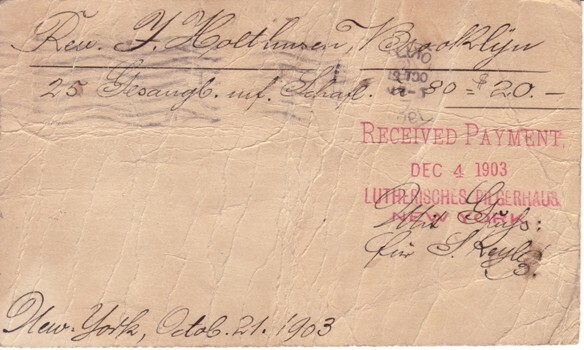 On April 18, 1920, Pastor Schuermann accepted a call to St. Peter's Lutheran Church (2525 East 11th Street, Indianapolis, Indiana). Rev. Schuermann died of a heart attack while working in the church on December 27, 1924 at the age of 39. He was buried at Springvale Cemetery in Lafayette, Indiana. Pastor Herbert was born on March 22, 1887 in New York. He graduated from Concordia Seminary in St. Louis, Missouri in 1909. His first ministry was in Fernandina Beach, Florida, until he and his family moved to Hannibal, Missouri in 1910. Back in the midwest, he accepted a call from Zion Evangelical Lutheran Church (101 South Railway, Mascoutah, Illinois) where he served for ten years. He accepted the call to Bethlehem and became our fifth pastor on September 19, 1920. He left Bethlehem for St. James Lutheran Church (230 2nd Avenue, St. James, New York), where he served as pastor until shortly after the death of his wife, Eleonora, in 1959. Rev. Herbert never stopped ministering to people in need and died in Smithtown, New York in July 1967 at the age of 80. Pastor Bobzin was born on November 17, 1893 in Chicago, Illinois. 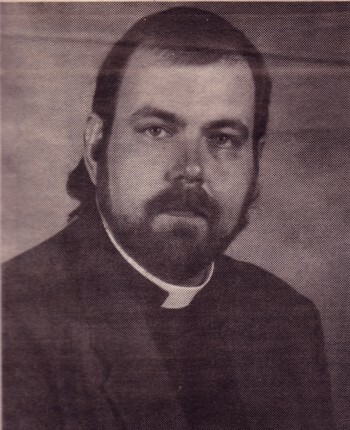 He graduated from Concorida Lutheran Seminary, Springfield, Illinois and served as pastor of the Mission Congregations at New London and Willimantic, Connecticut. From 1921 to 1931 he was pastor of Our Savior Lutheran Church (607 76th Street, North Bergen, New Jersey). Following his service at Bethlehem, Rev. Bobzin was pastor of the Lutheran Church of the Resurrection (44-10 192nd Street) Flushing, New York, starting on March 23, 1941. Rev. 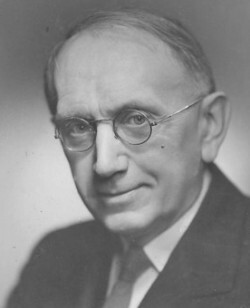 Bobzin was president of the American Lutheran Publicity Bureau from 1931 to 1952, was chairman of the Synod's Board of European Affairs, and a board member of the Lutheran High School Association of Brooklyn and Queens. Rev. Bobzin (and one of his predecessors at Bethlehem, Rev. Arndt) were among the 44 moderate Lutheran ministers who signed the September 20, 1945 "Statement of the Forty-Four" that challenged what they called the "narrow legalism" of the Lutheran Church Missouri Synod. The document, which is considered an important step in the development of the church in America, is now part of the collection of the Concordia Historical Institute in St. Louis, Missouri. Rev. Bobzin died in West Hempstead, New York on March 22, 1983 at the age of 90. Wisconsin and Concordia Seminary, St. Louis, Missouri, graduating from the latter institution in 1933. He was awarded his M.A. degree by Columbia University (New York City) in 1934; his Th.D. by American Theological Seminary (Wilmington, Delaware) in 1942; his M.R.E. by Biblical Seminary (New York City) in 1946; and a Ph.D. by Fordam University (New York City) in 1950. Pastor Helmers was born in August 7, 1923 in Nebraska. 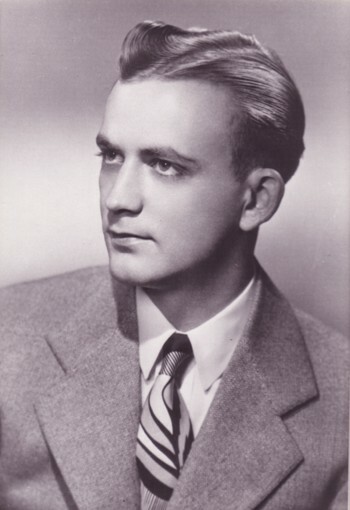 After graduating from Concordia Seminary, St. Louis, Missouri, in 1949 he served a year as an assistant pastor and instructor at Concordia College in Bronxville, New York. He was called by the Atlantic District to be the Missionary-at-Large to Community Lutheran Church (96 Main Street) in Enfield, New Hampshire, where he also served neighboring Dartmouth College and several colleges in Vermont. 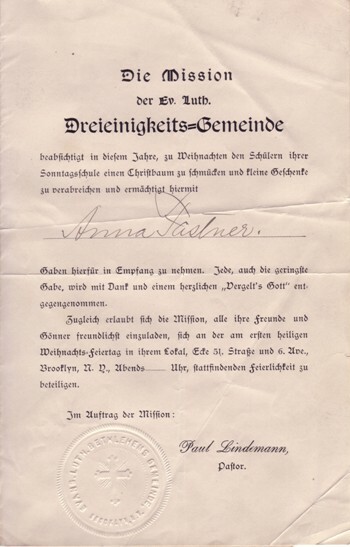 The Call to Bethlehem had been sent twice, with persuasive accompanying letters from Secretary John Krasman, and the church officers -- Theodore Speh, Adolph Schmieder, Walter Bernthal, Herman Boehling, Alfred Rodemann and Henvry Hirschmann. In 1955 Bethlehem finally convinced Pastor Helmers that this was the place for him. Pastor Helmers was the visionary for the Lutheran Elementary School of Bay Ridge and the Bay Ridge Center for Older Adults, now the Bay Ridge Center for Community Service. He retired to Fort Collins, Colorado in 1990, but continued his activism delivering meals-on-wheels, developing puppet plays for children, and conducting worship services at nursing homes. He died on April 10, 2009 at the age of 86 in Fort Collins, Colorado. In addition to serving as a chaplain to the homeless in the South Bronx, Rev. Lunn was also pastor of Calvary Lutheran Church at 2407 Eastchester Road in the Bronx, New York. Pastor Lunn went on to be Associate Pastor of Trinity Lower East Side Lutheran Parish at 602 East 9th Street, New York, New York, before coming to Bethlehem. He left Bethlehem to be pastor of Koloa Union Church at 3289 Poipu Road in Koloa, Hawaii. In November of 2002 Rev. Lunn, who is also a registered nurse, was appointed an ELCA missionary to India and is now serving at the Vellore Christian Medical College in Vellore, India where he established a palliative care program for the chronically ill. He also served two years (2006-2008) at Phebe hospital near Gbarnga, Liberia, West Africa, and continues there as missionary several months a year. More information is available at Rev. Lunn's website. Pastor Knudsen is a native New Yorker. He was born and raised on Staten Island, attending Zion Lutheran Church. He graduated from Wagner College and attended Trinity Lutheran Seminary in Columbus, Ohio. His internship was at Peace Evangelical Lutheran Church at 17029 West Thirteen Mile Road in Southfield, Michigan, just north of Detroit. Pastor Knudsen was ordained on November 11, 1984 and his first church assignment was a full time position at Eltingville Lutheran Church & School at 300 Genesee Avenue on Staten Island. He served there for 8 years, from 1984 - 1992. After this experience, Pastor decided to continue his ministry by providing interim support to churches who were in the situation where a pastor had left, but a new pastor had not yet been hired. He did this while pursuing a career in computer programming to better support his growing family. Pastor Knudsen served as interim pastor for Zion Lutheran Church at 505 Watchogue Road, and Christ Lutheran Church at 121 Cleveland Avenue, both on Staten Island. His next interim pastor position was at Bethlehem Lutheran Church in Bay Ridge, Brooklyn in November 1995. His "interim" status was changed when Bethlehem made the decision to call him to his current part-time permanent role. Since joining Bethlehem the church has seen substancial growth and the addition of The Healing Center, a domestic violence counseling program. Pastor Knudsen has two children. His son is in law enforcement and his daughter is an elementary school teacher. Please see Pastor's most recent message. For every congregation there are many proud moments, one of which is when a member joins the ministry. We honor those who came from among our ranks to serve. Since 1905 members of the Bay Ridge community have had a place to find comfort, support, education, and both physical and spiritual nourishment at Bethlehem Lutheran Church. We have a long tradition of worship and service. 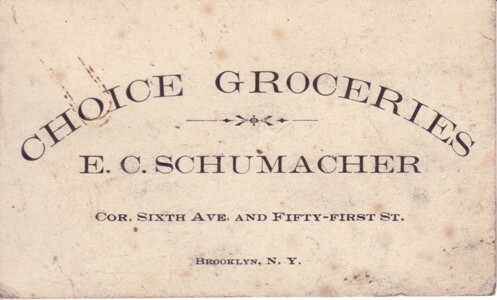 On Sunday, November 1, 1903 a small group of the faithful gathered together in the store room of a grocery shop owned by Ernst C. Schumacher on the corner of 51st Street and 6th Avenue in Brooklyn. The Rev. 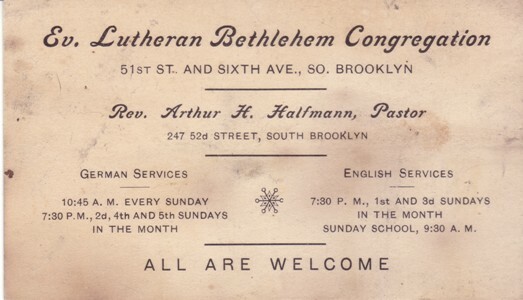 Dr. John Holthusen, the pastor of Trinity Lutheran Church in Brooklyn, was prevailed upon to open a mission and begin organizing a congregation to serve the mostly German community. Thus was born the Brooklyn Mission Society's Bay Ridge mission. 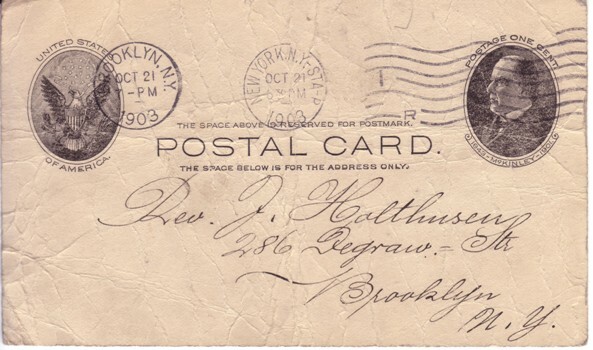 In September 1904 the Brooklyn Mission Society called the Rev. Paul Lindemann, a recent graduate of Concordia Seminary in St. Louis, Missouri to Trinity as Missionary to Bay Ridge to organize a congregation and serve as pastor. 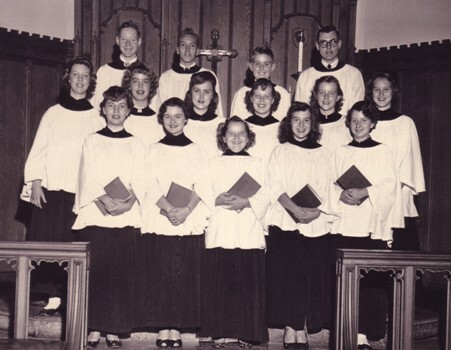 From these humble beginnings, Bethlehem Lutheran Church, which now comprises a variety of religious and non-sectarian community ministries, was officially organized on April 13, 1905 as Bethlehem Evangelical Lutheran Church with Rev. Lindemann as our first Pastor. 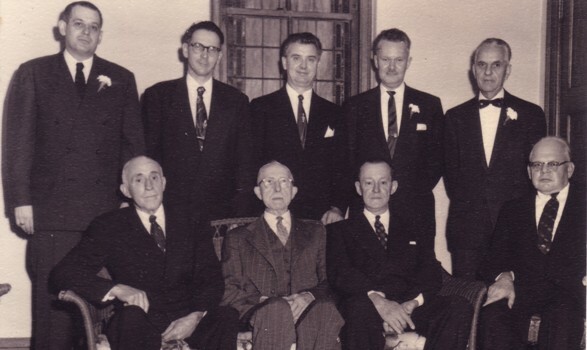 The first officers of our congregation were elected on June 20, 1905. That same month the Brooklyn Mission Society (which later became the Council of Churches of the City of New York) released Rev. Lindemann to succeed Rev. Holthusen at Trinity. With Rev. Lindemann's departure, Bethlehem called the Rev. Arthur H. Halfmann, who was pastor of Immanuel Lutheran Church in Manchester, New Hampshire. Rev. Halfmann was installed as our second pastor on January 7, 1906. After two years in a storefront, the new congregation built a small church on two nearby lots at 615 51st Street just east of 6th Avenue that accommodated 125 people(photo right). That church, which cost $3,500, was dedicated on May 27, 1906. On April 2, 1907 Bethlehem became self-supporting and was admitted as a voting member of the Lutheran Church - Missouri Synod. (Bethlehem has since left the Missouri Synod and is a member of the Evangelical Lutheran Church in America.) During this time, Rev. Halfmann resided nearby at 247 52nd Street and later at 464 51st Street. On July 5, 1910, Rev. 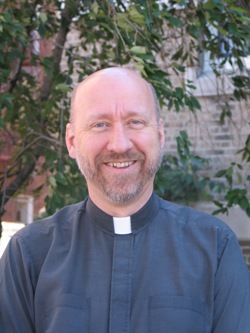 Halfmann left to lead St. John's Lutheran Church in College Point, New York. The Rev. 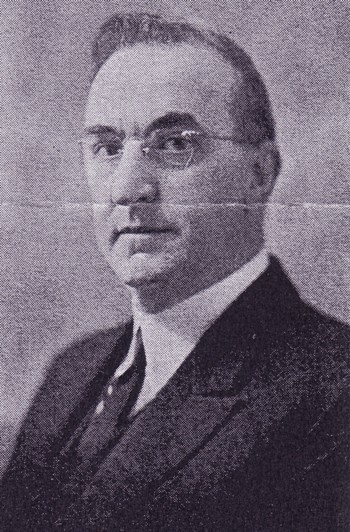 William F. Arndt was installed as the third pastor of Bethlehem on February 5, 1911. The congregation grew dramatically and on July 28, 1913 Rev. Arndt accepted a professorship at St. Paul's College in Concordia, Missouri. 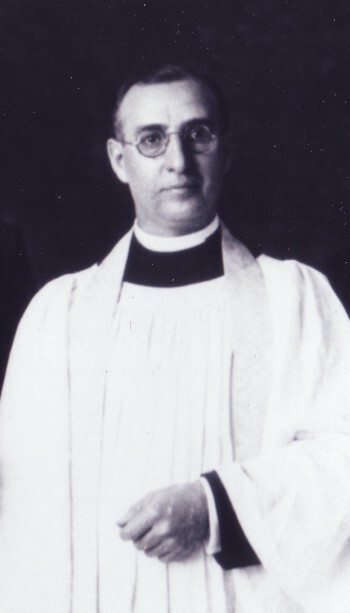 In August of 1913 the Rev. 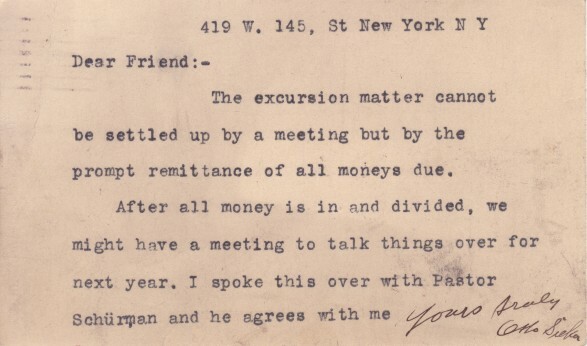 Fred W. Schuermann was installed as pastor and Bethlehem entered an even more active period that included the incorporation of the Ladies' Aid Society, which had begun its work even before Bethlehem's incorporation, expanded Sunday School, and elimination of the $1,800 debt. During this time, Bethlehem had 160 baptized members. Although the congregation was preparing to build a parsonage, the outbreak of World War I and its accompanying high cost of labor and materials made the project prohibitive. 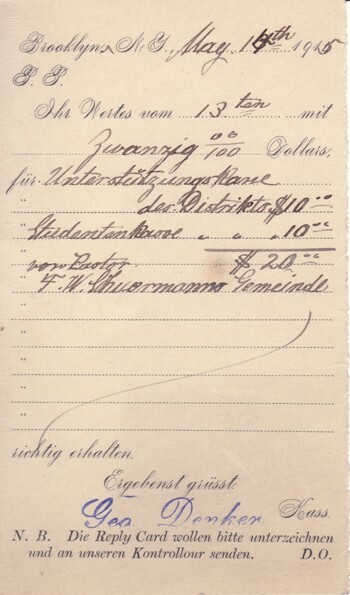 In April 1920, Rev. Schuermann accepted a call to St. Peter's Lutheran Church in Indianapolis, Indiana. After a five month vacancy, on September 19, 1920, the Rev. August W. J. Herbert from the Evangelical Lutheran Church of Mascoutah, Illinois, was installed as our fifth Pastor. Bethlehem was a largely German congregation that held its services in both German and English. In the 1920's many of its members began moving south towards Fort Hamilton. The area around Bethlehem was experiencing a steady influx of Scandinavians, who although Lutheran, held services in their own language and were difficult to attract as members. The congregation decided to build a new church farther south so they wouldn't lose their membership and in November 1921 a site on the corner of Fourth and Ovington Avenues was purchased for $19,000. It had a 86 foot frontage on Fourth Avenue and was 110 feet deep onto Ovington Avenue, large enough for both a church and parsonage. Within three months the members raised $11,000 and together with $3,000 from the Ladies' Aid Society and a $5,000 mortgage from the property owner, the land was purchased. To complete the purchase, the church at 615 51st Street was sold to the St. Johannes Swedish Lutheran Congregation for $9,750. With that sale, however, Bethlehem was now without a home. The architect firm of Koch & Wagner was hired to draw up plans and due to the limited means of the congregation, it was decided to construct the church in two stages -- first the basement and parsonage, and when more funds were available, the upper church itself. 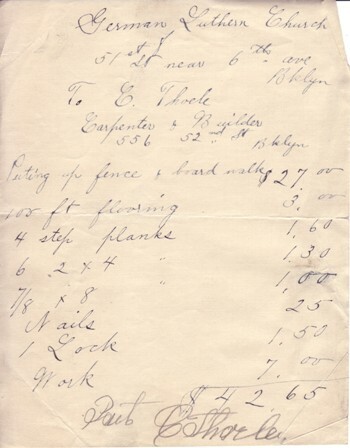 A contract was awarded to Andrew Olsen and construction began on October 1, 1922. 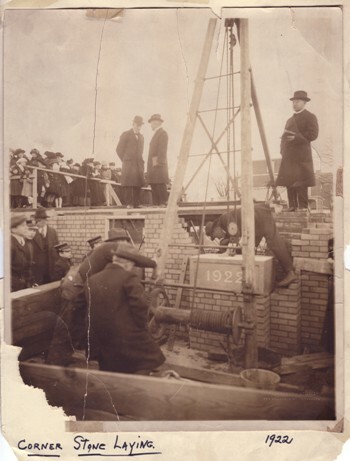 On November 26, 1922 the cornerstone was laid by Ernst C. Schumacher, owner of Bethlehem's original "storefront church". On that day, the Rev. Otto Sieker, pastor of Concordia Church in Bronxville, New York, preached the sermon at the site. For several months during the construction the congregation held its regular services in the Grace Methodist Church across the street. 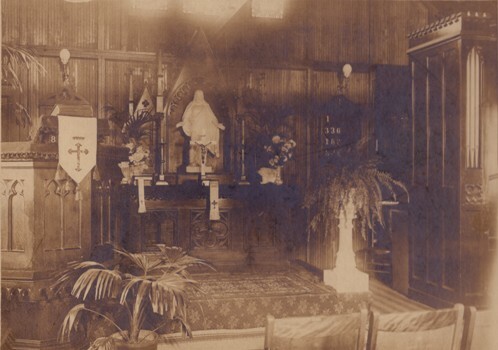 On April 26, 1923 the congregation dedicated the newly completed church basement. That basement would be our house of worship for the next six years. In the fall of 1927 the congregation, which had grown to nearly 300 members, established a Building Fund to raise the money necessary to complete the construction. On June 4, 1929 the contract was awarded to William E. Anderson, Inc. and construction commenced in earnest on July 29, 1929. Within six months the building was completed and furnished. 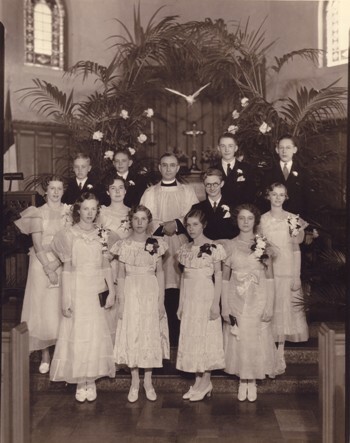 On February 23, 1930 Bethlehem Evangelical Lutheran Church was dedicated. With more than six hundred people gathered outside the church doors, the Boy Scouts, the Camp Fire Girls, and the choir entered for the service. They were followed by Church Council President Mr. John Osterndorf and the congregation singing "Open Now Thy Gates of Beauty." Pastor Herbert read the dedicatory prayer and the Rev. Henry Stein, professor at Concordia Collegiate Institute in Bronxville, New York, delivered the sermon. Pastors Henry Stiemke and Paul Scaer officiated at the altar. During the Dedication Week three other services were held with the Rev. William Koepchen, pastor of St. Luke's Church in New York City, the Rev. Erwin Kurth, pastor of the Church of Our Savior, and the Rev. Paul Prokopy of Albany, New York and former Executive Secretary of the Walther League, as the respective officiates. The dedication program handed out that week ended with words that would come to fruition over the course of Bethlehem's history --- "May the Master ever bestow His blessings upon all its future endeavors." 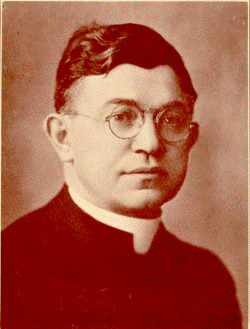 In the fall of 1931 Rev. Herbert left Bethlehem to go to St. James Lutheran Church in Long Island, New York, and the Rev. 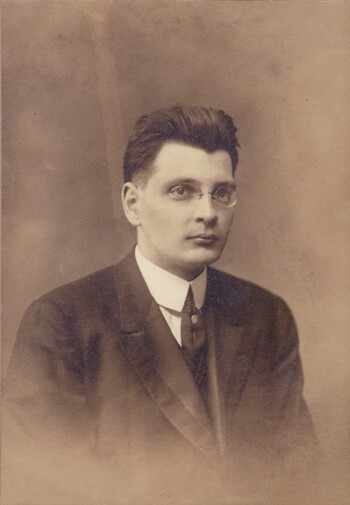 August F. Bobzin became our sixth pastor on April 3, 1932. Despite the economic hardship of those years the congregation continued to grow both in size and in its ministry. Rev. Bobzin left Bethlehem in March of 1941 to become pastor of the Lutheran Church of the Resurrection in Flushing, New York. Rev. 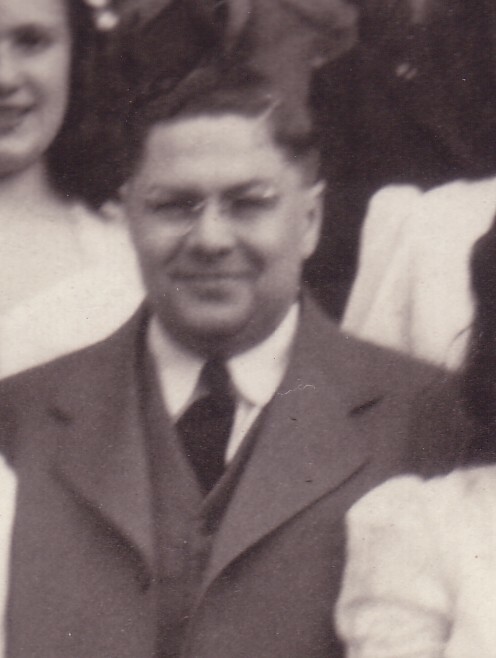 Raymond Frederick Surburg, a native of Chicago, Illinois, came to Bethlehem from Trinity Lutheran Church in Clifton, New Jersey and was installed as our seventh Pastor on June 15, 1941. During this period an annual gospel preaching mission was established, and extensive repairs were made to our church, tower, and basement. 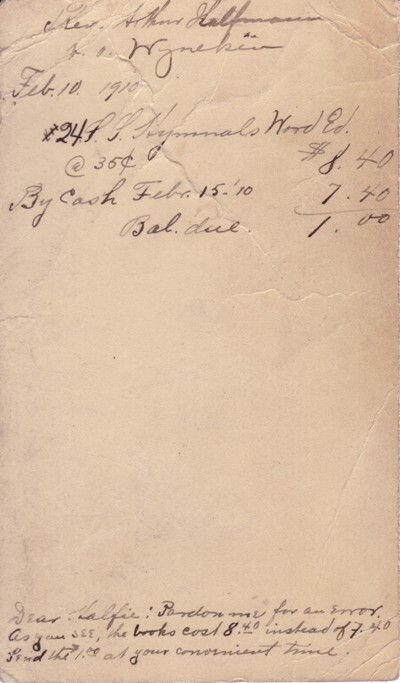 In 1950 the second mortgage on the church was paid off during the celebration of our 45th anniversary. In addition to serving as Pastor of Bethlehem, Rev. Surburg continued his studies at the Biblical Seminary of New York City and served as director of the Brooklyn Biblical Institute. He left Bethlehem in September 1954 to become an assistant professor of religion at Concordia Teachers College in Seward, Nebraska. Following Rev. Surburg's departure, Bethlehem celebrated its 50th Anniversary on April 24, 1955 with a special afternoon service with Rev. Surburg as Guest Speaker and Rev. Bobzin as Liturgist. Bethlehem's commitment to faith and community began in its earliest days, but over the years Bethlehem has expanded its ministries in many ways. More recently that expansion took place under our longest serving pastor -- the Rev. Darrell D. Helmers -- who was installed as our eighth pastor in September 1955. 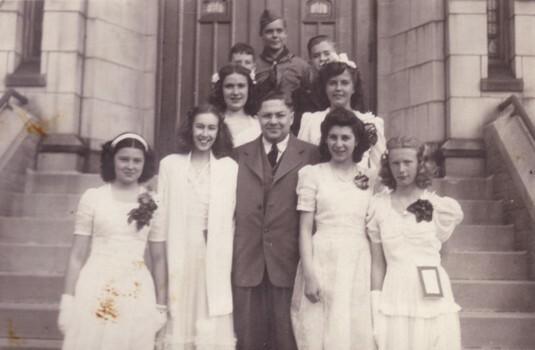 During Pastor Helmers' 35-year tenure from 1955 to 1990 Bethlehem reached out well beyond its walls and firmly established itself in the Bay Ridge community. During this time Bethlehem added the Lutheran Elementary School of Bay Ridge, which since 1957 has offered an outstanding education from nursery through 8th grade in a nurturing, yet challenging environment. In July 1969 Bethlehem purchased an apartment building at 415 Ovington Avenue to enable church and school expansion. Pastor Helmers also founded our Bay Ridge Center for Older Adults, (formerly the Bay Ridge Nutrition and Home Care Program), which has become a mainstay in the life of the community. It has expanded well beyond its 1976 roots as a senior citizen center. The program now provides meals, education, day-trips, social services, counseling and a food pantry, using both the church basement and the original parsonage as its base. During this period, the congregation also purchased a house to serve as a new parsonage down the street on Ovington Avenue. During Pastor Helmers' time there was a rift within the Lutheran church and Bethlehem reassociated itself with what became the Evangelical Lutheran Church in America (ELCA). Rev. Helmers was a dynamic church leader and his retirement in 1990 presented a challenge to the congregation --- fulfill our mission and become more self-reliant. Bethlehem rededicated itself and after a vacancy, called Rev. John S. Lunn who was installed ast our next pastor on October 3, 1993. Rev. Lunn had been pastor of Calvary Lutheran Church in the Bronx. He served Bethlehem for less than two years and left in 1995 to be pastor of Koloa Union Church in Koloa, Hawaii. After Rev. Lunn's departure, Bethlehem again had a vacancy that was filled by its own members each Sunday. In 1995 Rev. Paul H. Knudsen from Eltingville Lutheran Church in Staten Island, New York, came to Bethlehem with the plan of being an interim pastor while the congregation sought a permanent pastor. During this period the Church Council took on more responsibility and Pastor Knudsen was prevailed upon to be our permanent part-time pastor, which he remains today. In 2008 Bethlehem added The Healing Center to its ministries. The Healing Center is a not-for-profit, community agency dedicated to the intervention and prevention of family violence and abuse, serving people of all faiths, cultures and personal experiences. Like so many other churches, of all denominations, Bethlehem saw a decline in regular attendance over recent decades. However, since 2005 our congregation has made considerable strides in not only stemming that tide but in gaining in strength --- strength in numbers, support and our works. Today Bethlehem Lutheran Church is a vibrant and living testimony of God's grace. Our Sunday attendance has more than doubled, recent Sunday School terms have grown to more than 40 youngsters, our Confirmation Class can now number more than a dozen, and we are continually seeking additional ways to serve God though our works. This is an exciting time for Bethlehem and it can be an exciting opportunity for anyone interested in joining us on Sunday.